The charm of Bollywood’s biggest music directors like RD Burman, Madan Mohan and Naushad remains even years after they have passed away. But, like actors and actresses are the recognised faces of any film, there are several unseen faces who have helped these music greats create their timeless songs. 34-year-old filmmaker Rudradeep Bhattacharjee’s documentary The Human Factor talks about one such family that has worked with almost every legendary music director of Bollywood; the Lords. “A few years back, I read a book called Behind the Curtain: Making Music in Mumbai’s Film Studios by Gregory Booth, a New Zealand-based ethnomusicologist. We have been listening to Hindi film music but never paused to think about the musicians behind them. In December 2011, I decided to work on a documentary about Cawas Lord and his sons Kersi and Bujji Lord who have been musicians for over half a century, from silent films, hits like Howrah Bridge and Aradhna to Dil Toh Pagal Hai,” he adds. For his research, he spoke to both sons which helped, immensely. 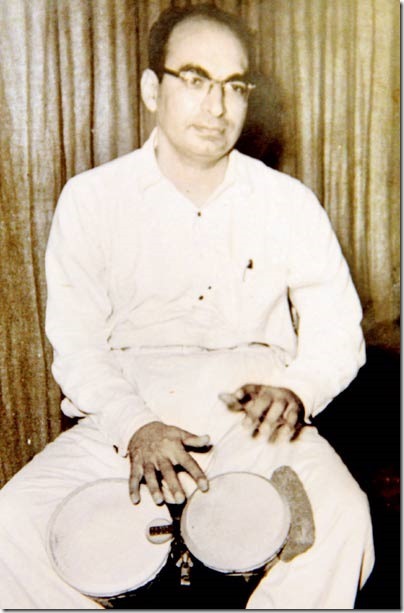 Born in 1911 in Pune, Cawas Lord came to the city to learn music. 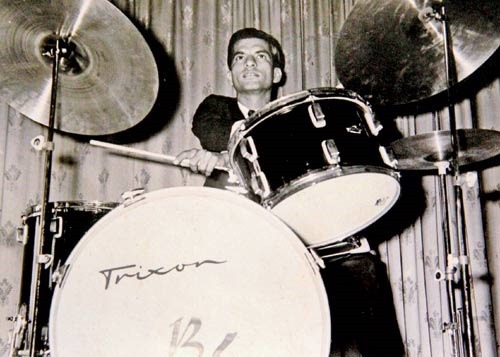 Apart from joining Chic Chocolate, which was one the most famous Jazz bands, as a drummer Cawas Lord was also the part of the British touring party for their troops during World War II before his Jazz journey. As a part of the Jazz group, Lord would play at several clubs in the city including the Taj Mahal Hotel where C Ramchandra spotted him, and took him along for recordings. During prohibition, Lord worked full-time in Bollywood. Every third song had Lord playing an instrument or the other, which also paid him well. “There was a group called Gagimbas, who was brought down to play at the Taj from Paris by a member of the Tata family. Cawas Lord bought instruments such as the bongo and the congo from the band when they were leaving; thus these instruments were introduced to the Hindi film industry,” he says. Just 13 then, his son Kersi, accompanied him to recordings. Thus the next generation entered the industry. “Naushad saab would send a car so that Kersi would go to school, but that didn’t happen,” reveals Bhattacharjee . 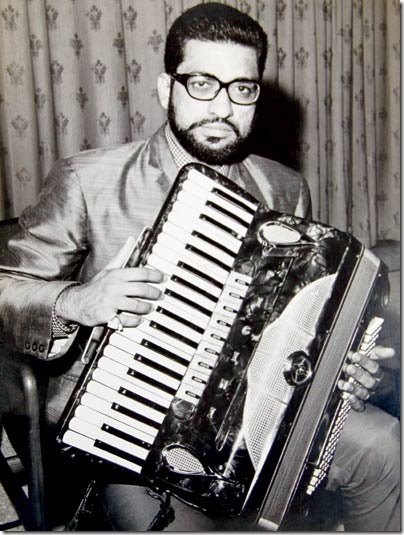 Kersi earned repute for accordion pieces (Roop Tera Mastana from Aradhna), he also introduced the glockenspiel to the industry. He played the minimoog (monophonic analog synthesizer), which was one of the few electronic instruments played. “On one occasion, Kersi was unwell and someone asked Cawas to bring his other son instead; that’s how Bujji Lord came in. 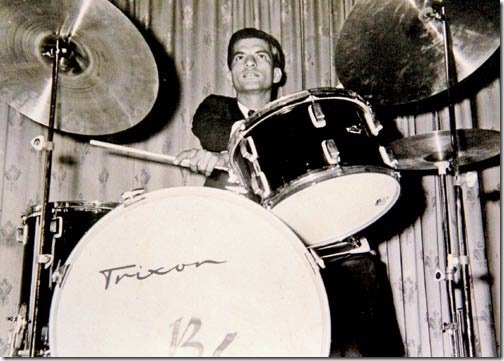 He was a great drummer. Once, while on tour to the West Indies, people checked his arms after the show as they couldn’t believe how he played so well!” he chuckles. Bujji, who lives in Sanjan in Gujarat, pursued farming and later became a builder while Kersi leads a quiet life in Bandra. The third generation doesn’t seem keen to carry on the family legacy in Hindi cinema. About the Director: Rudradeep Bhattacharjee was born in Shillong, Meghalaya, and obtained his postgraduate diploma in Film and Television Production from Xavier Institute of Communications, in Mumbai, where he has lived for the past twelve years working as an Independent Filmmaker. A self-described generalist, he does not have any hobbies. India, 2012, 76 mins, English.